There are many creative ideas for a church holiday bingo fundraiser that make the event fun and exciting as well as profitable. When it comes to fundraising, choose something that is not only profitable but will be fun for all involved. There are endless ideas to consider so finding a unique idea for the holiday season should be easy. 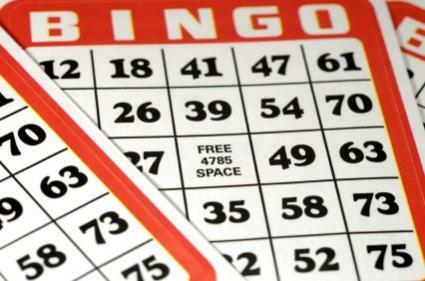 A fun way to bring a large group together to raise money is holding a bingo fundraiser. All you need to do is have a large room with plenty of space and tables. Most church basements make the perfect location for a bingo event. In addition, you will need a bingo caller with tons of personality and bingo supplies. Publicizing the bingo fundraiser in the church bulletin and as an announcement after mass are great ways to get the word out. Consider posting flyers around the community and even running an ad in the local newspaper as well. Most media outlets offer discounted rates for churches and nonprofit organization so be sure to check into finding a great price. Holiday bingo fundraisers can include more than just the game. There are other ways to raise money at the fundraiser as well. For example, set up a bake sale or ask for a donation for the food and beverages being served. Before the event, be sure to get as many items donated as possible. The less money that your church has to spend, the more money they will raise. Another way to raise money is to charge a set fee to play bingo. Have someone collect money for those participating as they enter the room, in return they will be given a bingo card. Instead of awarding cash prizes, give away donated items that have been secured from local businesses. Gift certificates, holiday themed items and tickets to local events make great prizes. Be sure to send out letters to local businesses in advance to ask them for prizes for the event. Have a committee of volunteers assigned to collect items and organize them as prizes. Sell the centerpieces on each table. Be sure that they were donated so that you get the most profit possible.